Welcome to another edition of Channel Chaser! While I acknowledge that I may be a bit behind the times, last week was a landmark moment in television as audiences across the country and the world said goodbye to a comedy legend. 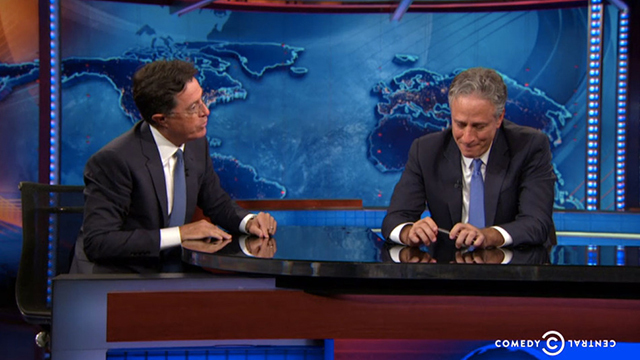 I’m speaking of course about Jon Stewart, who had his final night on Comedy Central’s The Daily Show last Thursday. It’s the second time in as many years that we’ve had to bid farewell to a beloved comedian on the network since Stephen Colbert left The Colbert Report in December, ending another great TV tradition. So this begs the question: with Stewart and Colbert, the two titans of fake news, now gone, what is left for their fans to do? Sure, Comedy Central didn’t waste any time with installing The Nightly Show, starring former Daily Show correspondent Larry Wilmore, in Colbert’s vacant slot. And to be fair, Wilmore has done a very good job in differentiating himself from his predecessors and cultivating his own show and his own somewhat more straightforward and confrontational brand of humor. But it’s just not the same. I say this as a long-time fan of both The Daily Show and The Colbert Report, and I’m not trying to minimize the accomplishments of The Nightly Show. However, the fact remains that these shows thrive first and foremost on the personalities leading them, and Jon Stewart has a character unlike any other. As many of you out there may know already, the plan for Comedy Central after Stewart’s departure is apparently to install South African guest correspondent and comedian Trevor Noah as the new host of The Daily Show. It’s an interesting move to make an international figure the new leader of the program, one that I can’t help but wonder if it’s based on the wildly successful run of John Oliver and HBO’s Last Week Tonight. Comedians with different nationalities poking fun at the comparative problems of the U.S. can be very funny, there’s no doubt about it. But you’d think for a guy who was going to be the new host, Comedy Central would make it more of a point to have Noah on more in a sort of transition period where audiences can get to know him better. Maybe even a once-a-week appearance to crack jokes at Stewart about how he’ll be taking his job. But instead, we’ve pretty much gotten silence from the Trevor Noah front, other than a handful of appearances on The Daily Show that stopped several months ago. I can’t help but be confused by the move, or lack thereof, and I hope Comedy Central knows what it’s doing. But anyway, enough of my criticisms. We’re talking about a legacy here. And that’s exactly what Jon Stewart is leaving at The Daily Show: a span of nearly two decades where he was considered by many in America to be the leading voice of truth and champion of justice on television, more trusted than most network news programs by miles. Some of those programs, especially Fox News, have often taken Stewart to task for his mistakes (yes, he’s not perfect) and his stances on particular issues, particularly his self-avowed tendency to lean toward the left in terms of ideology. Bitter news anchors across the networks have tried to discredit Stewart in the eyes of the public because they know people like him more than them. And to be fair, they have something of a point. Knowing that he is trusted by so many people should make Stewart hold himself to some kind of standard of personal responsibility as a journalist. But in the end, the joke’s on them because Stewart, as he himself has said many times, is NOT a journalist. He is a comedian, first and foremost, with a responsibility to absolutely nobody and nothing other than giving his audience a few laughs a night by pointing out the ridiculous hypocrisy of our government and media. Granted, he is a deeper man and personality than most TV comedians because he does often express serious feelings on the issues, as well as bitingly accurate social commentary. But it’s not his fault people have come to take his word as fact: by all rights, they shouldn’t. People who say with pride that they just get their news from The Daily Show are, in all likelihood, just as misinformed as anyone who subscribes to only one source of news. Much like media figures including Walter Kronkite and Edward R. Murrow before him, Stewart has developed a cult of personality that has made people trust him as a source of information. He didn’t start out to do it, and I’m not saying it’s a good or bad thing, but that’s what has happened. 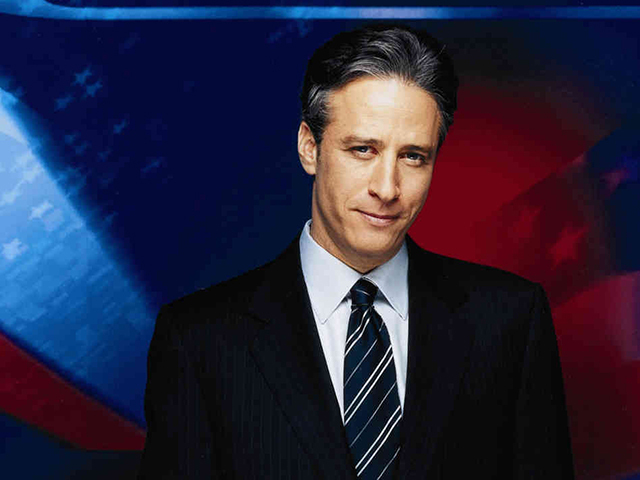 Nobody could have known when Stewart took over The Daily Show in 1999 what a cultural touchstone and TV landmark it would eventually become. And it makes his departure all the more impactful. The big question is, as the era of Jon Stewart comes to a close, what will happen to political satire and fake news programs like The Daily Show? Will they continue to influence as many people and from opinions and ideologies as they do now, or will they simply fade away without the popularity of such established hosts to support them? I imagine it’s the same debate that every generation has had over various entertainment issues at some point or another. But my main point is, don’t remember Stewart as the patron saint of liberalism or the demon the right has made him out to be over the years. Forget the politics, and just remember the times when The Daily Show made you laugh. In a world where messed up, corrupt, and terrible things happen way more often than they should, humor is the one thing we can always rely on to make us feel better. And it just might help make the world a better place by doing it.